The working principle is: Put the powder material into the fluid bed. The cold air is drawn into the fluid bed through the pre, middle and final filters (HEPA) and passes through the heating chamber behind the main machine, heated to the desired temperature by the heater. 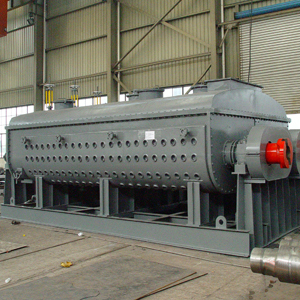 The material is fluidized in the fluid bed regularly. The adhesive is delivered to spray nozzle by peristaltic pump, which will spray into the container, make some of particle become the granules with adhesive. For the heated air’s continuous drying for the particles, the moisture inside these particles will be evaporated. And the evaporated moisture is drawn out by the fan. Through the powder granulation improves liquidity and reduces dust emissions. Through the powder granulation improves their dissolving performance. Mixing, granulation, drying processes accomplished once in the same equipment and improving the thermal efficiency. Frequency Control device is used, Hopper used inflatable seal, sealed and reliable.